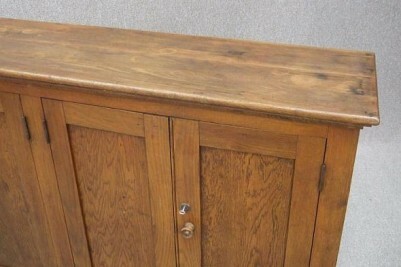 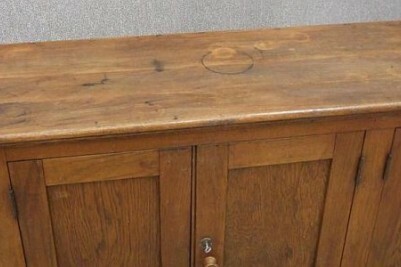 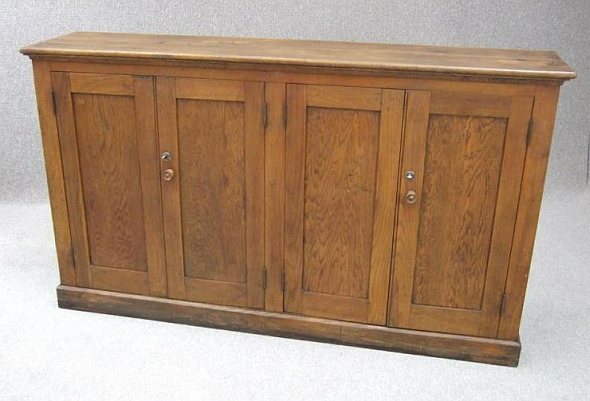 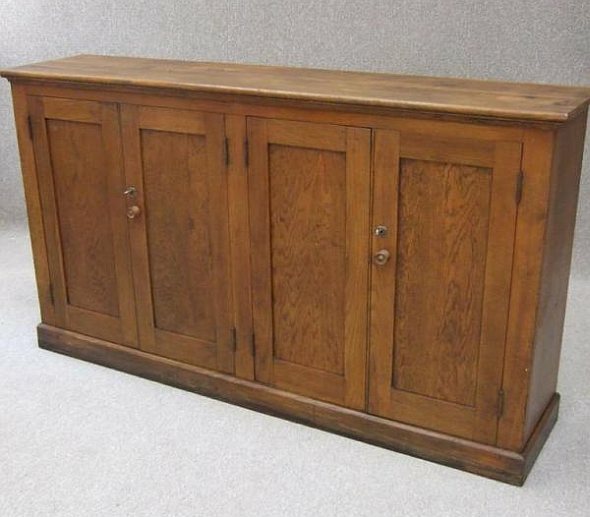 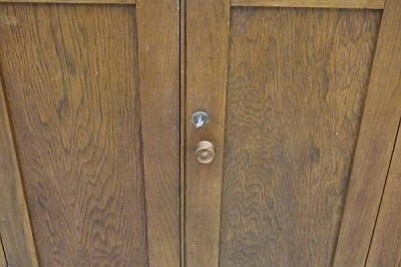 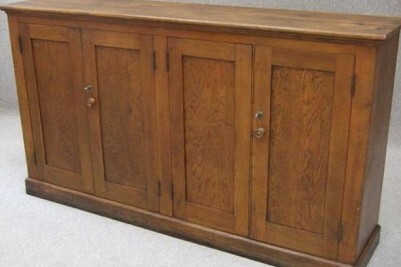 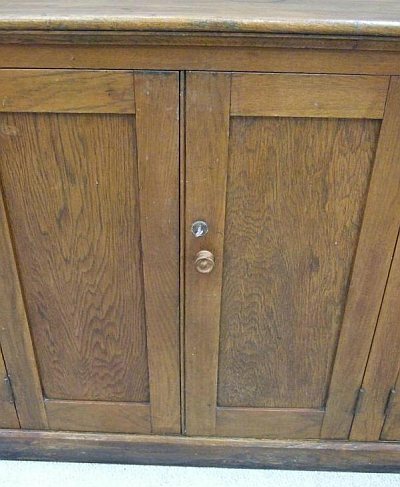 A useful, Oak, circa 1920s, four door cupboard; fitted with internal shelves. 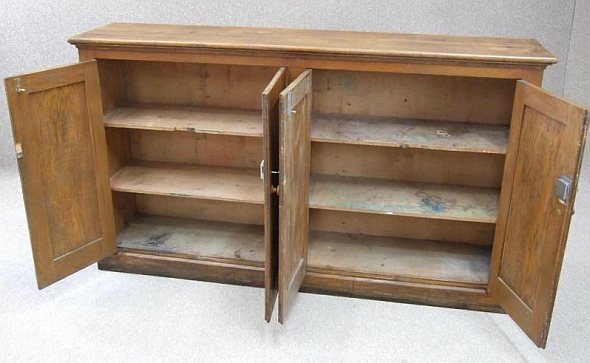 An ideal storage space for books, shoes, crockery etc, and an ideal piece for any home office or country kitchen. 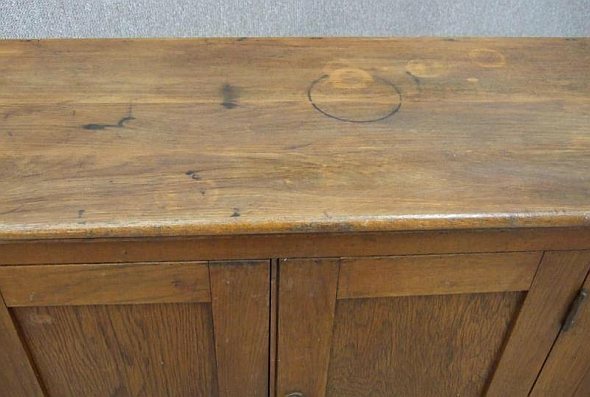 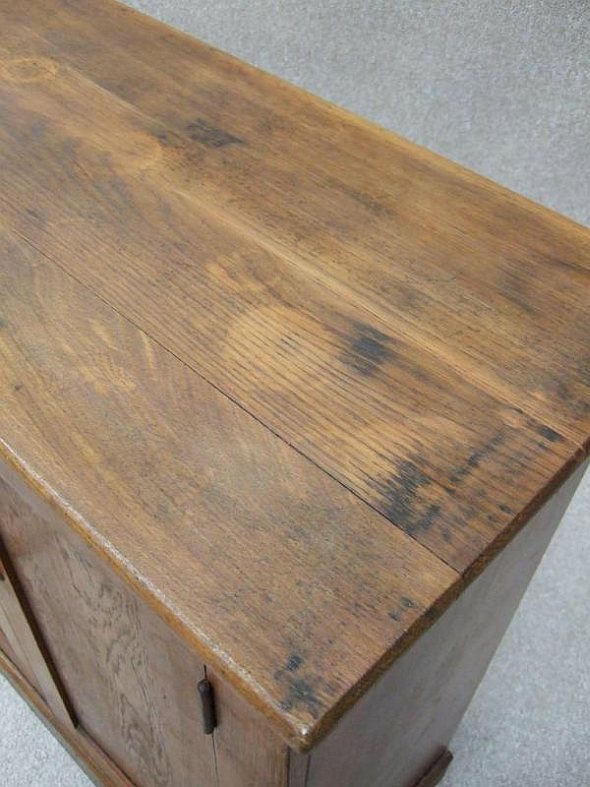 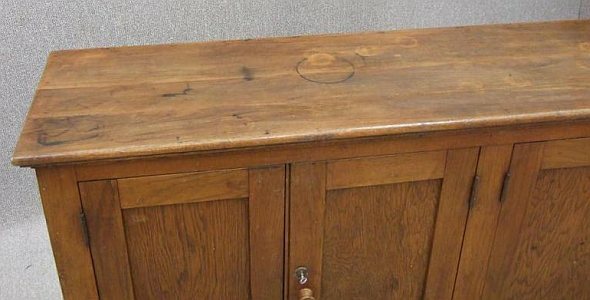 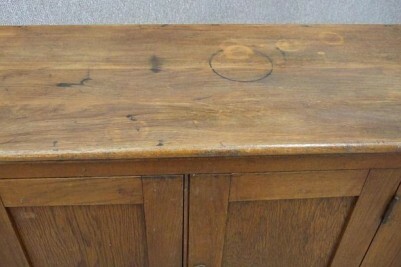 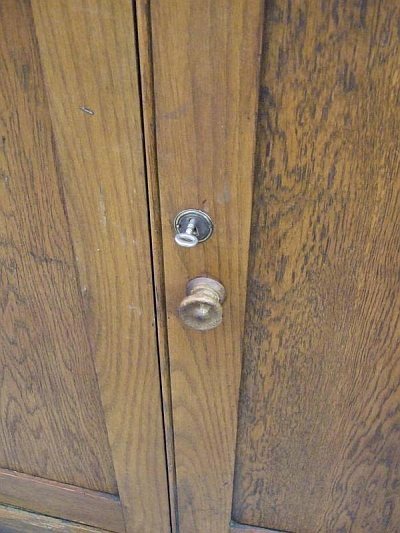 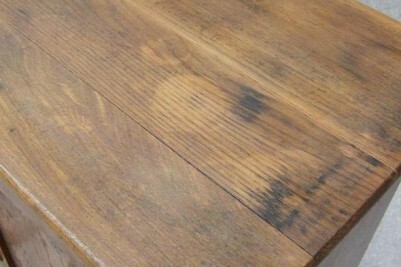 We believe that this cupboard would have been used within a school setting at some stage, as it has some remnants of paint to the inside, and some water marks to the top as the photographs show. 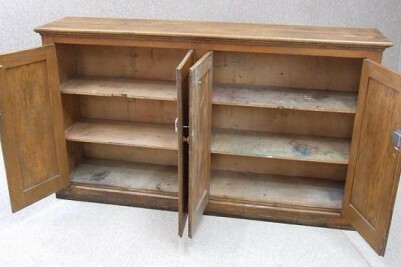 This is still an extremely useful piece of furniture. 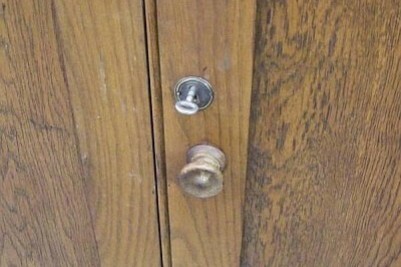 The item is in good condition, with just general wear and tear.